Make Sure to Include The Gift of Lights & Snow at TMS in Your Family’s Holiday Celebrations! The Gift of Lights & Snow at TMS is one of the most visited holiday parks in North Texas, featuring a drive-thru holiday spectacular light show with over two million LED lights and 600 unique holiday displays across 1.7 miles at Texas Motor Speedway. Your family will love the lights AND the newest addition -SNOW! The Snow Village at TMS features a tubing hill, snow ball gallery, and a snow play area. Kids can also visit Santa and make s'mores. Visit giftoflightstms.com for event hours, Santa's schedule, and pricing. 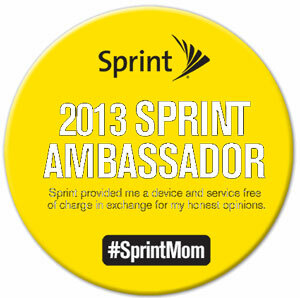 Disclosure: I participated in an Ambassador Program on behalf of Mom Central Consulting for Sprint. I received product samples to facilitate my review. Go to bed just to get up and repeat! Thankfully, Sprint and Motorola are there to help us busy moms keep our sanity, all while propelling us to "Super Mom" status. So just how does a handheld device help organize a busy life? Keep reading to find out! Now that I'm a mom, I can't even begin to imagine what I'd do without my daughter. If anything were to happen to her, I know that it would break me. Moms form such strong bonds with their children, beginning in the womb, yet there is a silent enemy out there which threatens to break that bond and bring serious injury to your newborn. I want to share more information with you about a potentially life-threatening risk to babies called RSV disease.